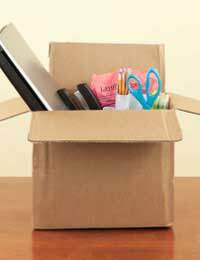 Home > About Redundancy > Can I Be Made Redundant During a Career Break? Some employers are generous enough to offer their staff the option of a career break. You may not want to leave your job but for whatever reason you may wish to take time out and go travelling or try new things, or care for a sick relative. Most employers will allow a career break for up to several years if they are faced with the choice of losing a good member of the workforce or allowing them to take some leave. Normally a career break is unpaid, but depending on your employment contract you should still be classed as employed and treated in the same way as others considered for redundancy. Under normal circumstances, any employee that has a break from the company for one week will no longer be classed as an employee of the company in legal terms. There are exceptions to this rule however and a career break is one such rule. When you discuss the terms of your career break with your employer, you will need it in writing in order for it to be legal. If your employer hands you your P45, this means you are no longer employed by the company and will not be entitled to redundancy. It is common for employers to not count career breaks as continuous employment, so they can strip you of any company privileges such as a pension scheme, paid holiday and a redundancy entitlement while on your career break. If you are classed as still employed by a firm you could still be made redundant on a career break. The same rules will apply to you as they would to the rest of the workforce. Your career break should not count against you and for the sake of calculating your redundancy payment your career break should be seen as time you were employed by the company. If the threat of redundancy does crop up while you are on a career break your employer will be expected to consult with you and your trade union, in accordance with the law. If you are made redundant during a career break, you will be entitled to full pay during your notice period, if you would otherwise as qualified for this. Can I Apply For Redundancy During A Career Break? If the chance to apply for voluntary redundancy occurs while you are on your career break you will be able to apply, just as the rest of your colleagues will. An employer should not overlook you because you are on a career break, but they may consider others before you based on their length of service with the company and the role you are doing. If you are on a career break and have somebody is filling your role while you are away your employer might decide they can manage without you. When employers consider those for voluntary redundancy they are likely to opt for those where the roles are doubled up. If you are still employed with the company you will have statutory redundancy rights, which means you are entitled to a redundancy payment and protected against unfair dismissal. To qualify for this you will have needed to worked at your firm for a minimum of two years continuously, to be protected against unfair dismissal you need to have worked there for at least 12 months' continuously. Your employer must be able to explain to you why they have selected you for redundancy and the procedure they followed. You are well in your rights to ask for a full explanation as to why they had chosen to make you redundant. If you suspect you have been chosen for redundancy because you are on a career break you will be able to claim unfair dismissal and could take legal action against your employer. You will however need to be able to prove that this is the reason behind your redundancy. Being on a career break should not work against you when your employer is making redundancies, but it is important to check what type of career break you are on. It may be that your employment has been terminated but your employer is keeping your job open for you, in which case you would not qualify. If you are concerned about being made redundant while on a career break you should make sure your contract protects against this. In my application to apply for a career break, is this clause legal? " cannot guarantee that an employee's current position will be available on their Return Date, i.e by taking a Career Break, an employee accepts that they forfeit the right to return to their current job"
You would have to give Acas a call regarding this matter, as you have given too little information/detail for us to answer your question accurately. On career break, I was given notice but not paid. Have just been paid voluntary redundancy paymentAm I entitled to this"If you are made redundant during a career break, you will be entitled to full pay during your notice period, if you would otherwise as qualified for this." My employer refutes this - is there a basis in law for that statement? You would have to speak to Acas directly regarding this matter. On career break, I was given notice but not paid . Have just been paid voluntary redundancy payment Am I entitled to this "If you are made redundant during a career break, you will be entitled to full pay during your notice period, if you would otherwise as qualified for this." My employer refutes this - is there a basis in law for that statement? "If you are made redundant during a career break, you will be entitled to full pay during your notice period, if you would otherwise as qualified for this." My employer refutes this - is there a basis in law for that statement? I'm on a 12 month career break my company suggested I took the break as they wouldn't let me reduce my hours they also said they would waive the 3 month request time they also sent me my p45 there is no were in the policy that states this would happen I spoke to them and they said it was normal but not in writing anywere they proceeded to make my job redundant within 3 months which would of been the request time after 24 yrs I'm a national trade union rep and believe they knew this was happening that's why they encouraged me to take career break and waived the 3 month notice can I do anything? Hi. I am on an unpaid 'leave of absense' from my employer until end of this year. They have started consultation with me to put me on statutory redundancy and they claim that they do not need to pay for a notice period as I am on a leave from their employment anyway, yet they say I can use the 12 weeks to still search for an alternative job within the company. Shouldn't the employer be offering to provide me a payment in leui of notice? i am currently on a career break which has 3 years left. I have been employed by the same company for 31 years. This year I will be 55 and am currently in a 'scoping' pool to take voluntary early retirement which my company are offering. No one in the company on a career break has applied for this before. Do you think I will be eligible?